Weather is getting nice and warm these days. It feels so good to be soaking in the warm rays of the sun, sipping hot coffee in the morning. Watching the pretty flowers bloom, birds chirping happily and kids playing with water sprinklers makes me feel happy. And obviously for us, summer is a synonym for grilling. 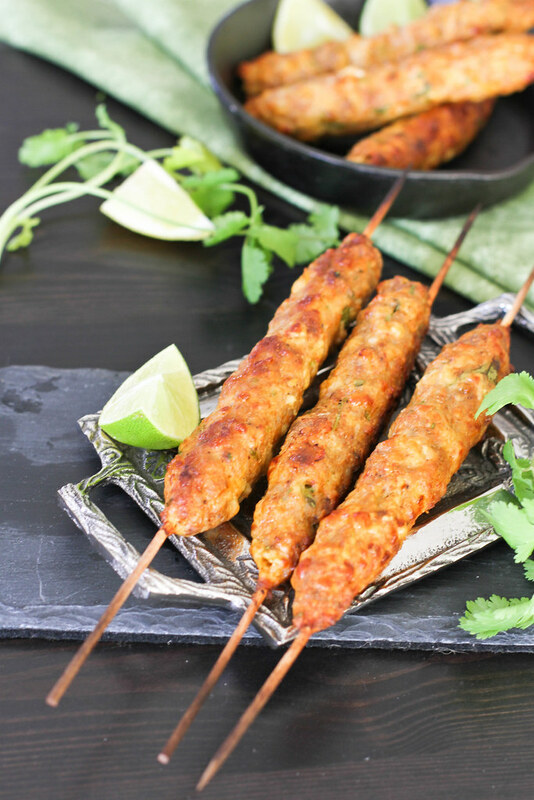 These delicious Seekh kababs are our favorite for grilling. Ansh calls then chicken on the stick. 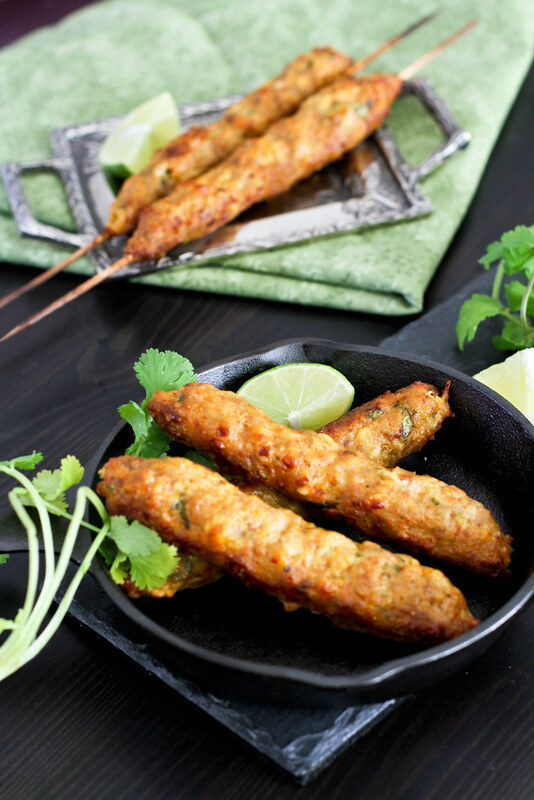 Enjoy the grilling season with these yummy soft and succulent kababs. Pre-heat oven to the maximum temperature. Mix all the ingredients well. If the mixture has more moisture and is difficult to hold shape, add bread crumbs. 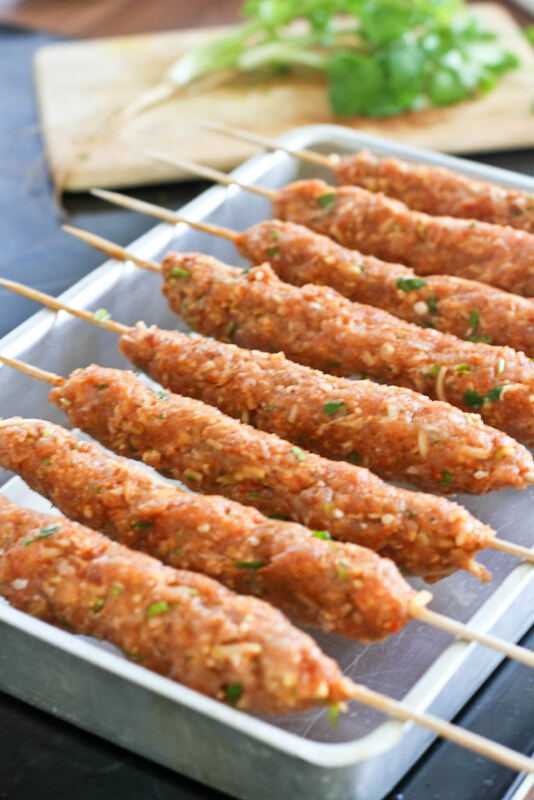 Take a portion of mixture and put it onto a skewer along the length, pressing it well with your hand and shaping it like in the picture. Repeat this until the mixture is finished. Put them on the baking tray and bake till the meat is done and the color turns golden brown. Alternatively you can grill them. 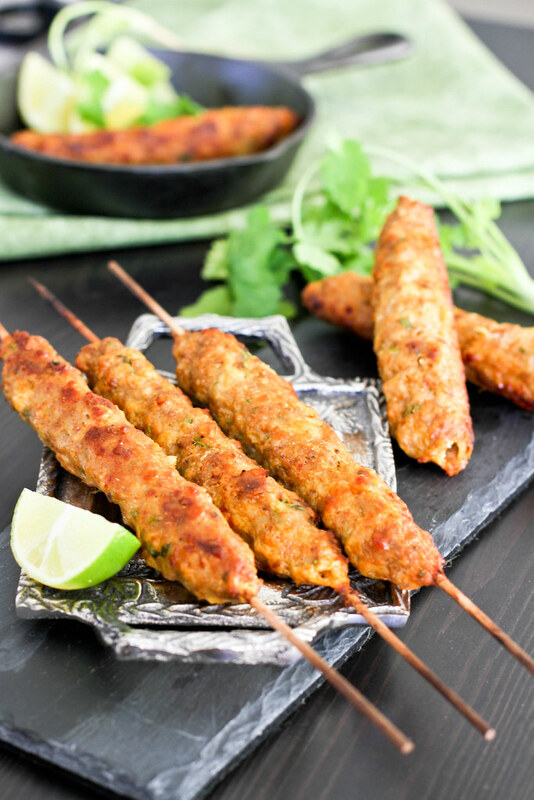 If you do not have an oven, after pressing the mixture on to the skewer, slowly pull out the skewer and fry the kababs in hot oil. You can even add grated paneer to the mixture for extra taste. If using wooded skewers soak them in water at least for 30 mins before using them, to prevent burning of the skewer. Wish i had few, i make them when i di mix grills, these looks so good. We had few days of good weather and now it is back to cold weather. these look deliciously mouth-watering! can’t wait to try.. 🙂 Also waiting for Spring time here..